I might be missing HR Tech next week, but I’ll be in the US next month for Workday’s annual conference where I’ll be on their technology analyst panel with Ray Wang and Naomi Bloom. Driving Eastward to Sandusky, I was even more impressed by the annual conference of Ohio SHRM. I did think the session was unnecessarily focused on recruitment however. Maybe this was just because I’d had my fill of social recruiting by this point in the week! 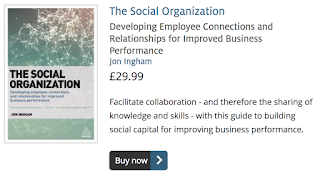 But I think it’s also because there’s so much else that HR can do with social media to improve its own effectiveness, and the effectiveness of the organisation it works within, other than recruitment. So I was a little disappointed moving onto Chicago for onrec on Wednesday, as I didn’t feel the wider conversation, outside of that small group of evangelists in Seattle, had moved on that much (for example, since I spoke at Kennedy Information’s event – which I guess was a predecessor to onrec? – in 2008). Few of the attendees seemed to have much understanding – and fewer still much experience – of using social media to support recruitment. This state of play was reflected in some of the presentations too – particularly Shally Sheckerl’s findings that 62% of respondents’ companies have no policy around social recruiting. Despite these thoughts about social recruiting, I thought the conference itself, including the speaker presentations, were still very good – I was particularly impressed by those from Kristin Graham from Expedia and Jason Warner from Intellectual Ventures (and previously at Google and Starbucks). I was also impressed by the size and quality of the exhibition – and the amount of schwag (which I see as a very positive indicator about the state of the US economy). I’m in the US at the moment, attending and presenting at a couple of conferences, including on International HR at Ohio SHRM 2010 on Friday. Then, when I get back to the UK, I’m straight off to Egypt. So the international aspects of HR and Human Capital management are at the front of my mind – and I thought would provide an interesting focus for this edition of the HR carnival too. Gautam Ghosh has Thoughts on the future of Human Resources. Prasad Kurian (Simplicity at the other side of complexity) posts on Renewable resources for thought leadership in HR. Tanmay Vora provides 5 Pointers For Effectively Dealing With Negative Feedback. Frank Mullivan puts himself in Other People’s Shoes. 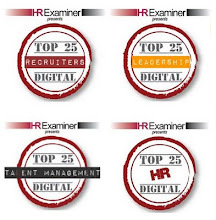 Grant Mason posts on If I could change one thing about HR... as a guest post on XpertHR. Nicholas J Peters suggests Acting on employee preferences during a reorganization. Laura Schroeder (Working Girl) pities Poor Working Moms (including a mention of German maternity leave). Thomas Otter comments on international shipping in On verticals and HR technology. Graham Salisbury (HR Case Studies) asks Where have all the (British) heroes gone? (not the US, surely?). Gareth Jones (Inside My Head) commands us to Collaborate or die…. Bill Boorman at the Recruiting Unblog wants us to Take a look at the Twintettes. And to make sure we do, he’s also submitted The Twintettes’ A Sound Investment?. Samara Irume (a Brazilian based in Boston writing in Portuguese) posts at her blog e-continuus (with a wonderful meez! ): Conflitos Eticos no Ambiente de Trabalho. Google provides an English translation at http://translate.google.com/translate?js=n&prev=_t&hl=en&ie=UTF-8&layout=2&eotf=1&sl=pt&tl=en&u=http://irume.net/%3Fp%3D91. Rob Brouwer at Monsterthinking.com posts on When Want Ads Won’t Do: Solving Brazil’s Talent Crisis. Dan Pontefract (TrainingWreck) asks IT & HR: Should They Merge? Holly Macdonald (Fireside HR) suggests Employment is a master-servant relationship. Lois Melbourne provides some Lessons in Organizational Design from Around the World. Mark Vickers (TrendWatcher) suggests High Performers Purge the Unproductive. Mary Jo Asmus suggests we should Let Them See You as Human. Melissa Prusher notes that What Comes ‘Round, Goes ‘Round. Wally Bock (Three Star Leadership) posts on Motivation Made Simple. Trish McFarlane (HR Ringleader) provides Present Your Best Ideas Today To An Eager and Welcoming Audience. Paul Smith (Welcome To The Occupation) argues Diversity Has Many Avenues. Dan McCarthy (Great Leadership) rants on avoiding senseless reorganisations. And thanks Dan for noting that “While it's not international, note that I at least spelled reorganisations properly in this email. (-:” ! : Reorganizations: Don’t Just Shake up the Bird Cage. Drew Tarvin (Humor that Works) links Mentos and Mentors. Naomi Bloom (In Full Bloom) links Choices, Compromises, Serendipity and Sh#t! Ravi Banda (Talented Apps) looks at Feedback process and the timing. Kevin W. Grossman looks at The ROI of going for it on 4th down with 2 yards to go. Jennifer V. Miller (The People Equation) writes on Using Toys for Childlike Learning. Ben Eubanks (UpstartHR) notes that 70% of employers perform social search on candidates. Shauna Moerke (the HR Minion) says My job is not to get out of your way. And finally, Mark Stelzner writes on The Conference Economy. I’ve not managed to get quite so many ‘international’ blogs (I’m thinking particularly of non-US and UK) as I’d have liked. So thanks in particular to Michael Carty for providing some posts from XpertHR’s series of guest posts, “If I could change one thing about HR...” (including other US bloggers J Keith Dunbar, Paul Smith, Stefanie Fontanez and Charlie Judy as well as UK based bloggers like Grumpy Lecturer (see the full list so far here). If anyone working outside the US and UK wants to add their posts to this, I’ll republish the carnival including these other submissions at the end of the month. I spent yesterday at ERE’s 4th Social Recruiting Summit, this time held at Microsoft’s global HQ near Seattle. Social Media Recruiting, by the Numbers. I will just say that it was a great conference – very well produced with excellent (I guess I should say awesome) speakers, case studies and hosting from Scott Pitasky from Microsoft, Chris Hoyt from PepsiCo and Kris Dunn. Sessions ranged from those focusing on specific issues like tools and metrics which I didn’t go to, to others dealing with some of the bigger, and I’d suggest more important issues like culture. The best of these later sessions was delivered by Richard Cho at Facebook. Richard didn’t really talk much about social recruiting at all, and suggested that Facebook in particularly probably isn’t going to be somewhere people want to be recruited (although I liked someone’s challenge that people don’t want to see advertising when they watch TV, but get used to the fact it’s there – and other sessions clearly demonstrated the specific but useful role that Facebook can play as part of a broader social recruiting approach). But Richard made it abundantly clear that no social recruiting approach is going to be that effective unless the work environment is compelling, progressive and social first. In many ways this was a session that could have been given at any HR conference, but I still think it’s a factor that all social recruiters are going to have to deal with in their organisations at some stage. Note: not all organisations are going to be able to develop a purpose as compelling as Facebook, but this shouldn’t stop them from doing what they can, eg by focusing on CSR (see this post on Adidas’ employer brand and my other on ‘mojo’). Other sessions provided case studies and I particularly liked the one on Waggener Edstrom delivered by Heather Flynn and Kristin Kalscheur. This presentation described the development of a digital recruiting strategy developed exactly one year ago and which has led to impressive soft and hard results. What I particularly liked about this was that the approach taken was clear and uncluttered, but also very smart. I image a fair few organisations started out down the same path over the last year and gave up when their twitter followers plateaud at less than 100 people. And of course, you don’t hear about these (although there are a fair few of those twitter accounts around). And I think what made the difference was WE’s very integrated approach, linking up the tools, people, measures etc. So, a very nice example (watch the video). Kris tried to pull all of these different streams together at the end which was a big ask, but one in which he did very well (I was just too tired by then to contribute). But actually it’s simple – sort out what’s really important – like vision, mojo, leadership etc, then develop a good strategy, and the rest will fall into place. As Matt Alder noted, you won’t have to do much ‘social recruiting’ (using the tools) because your people will be recruiting socially anyway (ie doing what comes naturally when they’re passionate about what they do). If you want more, I’ll be posting from onrec in Chicago tomorrow. And see these previous social recruiting posts (including my comments on the first of these events at Google last year). I’ve been having a bit of a break from podcasting over the Summer, but I’ll be back soon. Talking HR will return in October, and its new, sister show, HR Talks Back, kicks off with another interview on 28th September 2010. This is going to be with Marc Weedon, Sr. Director - Human Resources Polycom - Europe, Middle East & Africa and I’ll be talking to Marc about International HR. The show broadcasts live at 3.00pm BST (tbc) and an archive will be available after this time. The show also gives you the opportunity to talk to Marc and ask him questions about this complicated aspect of HR. The number to call if you’d like to do this is +1 917 932 1997.
in different ownership environments (private, public, US owned, French owned, UK owned, etc). Job satisfaction for Marc means adding value, getting things done, and playing an active role in the wider HR community. Any spare time is taken up by playing and watching anything involving a ball, reading, cinema and theatre, along with spending time with the family (one wife, two kids, and two cats). Marc is also an active founder-member of the Thames Ditton Tennis Club, and the Keswick Curry Club! He didn’t mention it in his bio, but I met Marc 15 or so years ago when I worked at West London Training & Enterprise Council, and Marc was a client of mine. He also participated in a HR networking group we set up called Exchange, and he is now a key member of our new social media-enhanced group, Connecting HR. I’d like to start broadcasting these interviews every couple of weeks, so look out for future shows. 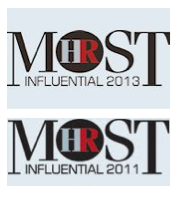 And if you think that you’ve got something important to say on HR and talent management, then do please get in touch. I posted recently to say how pleased I was to see HR getting a stream of its own at this November’s Enterprise 2.0 conference. 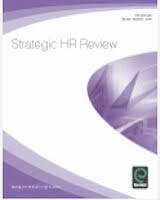 Oliver Marks, who’ll be chairing the stream, has been interviewing Bill Kutik, host of next month’s HR Technology conference, which I’ve also posted on recently, about HR, technology and collaboration. This is a response to that interview and I’m writing it because, although I think Bill makes some good points as usual, the interview misses a big slice of the agenda too. Yes, there are lots of HR people who work in compliance roles. And Bill may even be right in suggesting that this is the main remit of the function. But there are plenty more who do have human capital / business strategy and competitive advantage as their focus. And maybe Bill doesn’t see much of these people because they’ve not been a core target for HR technology until now? In the slides above (taken from the HCI/ Taleo webcast I did this summer), I identify three types or levels of HR technology usage. Level 1 (base camp) is about the system of record – providing basic (albeit absolutely vital) information to the HR function. This is Bill’s compliance piece. Level 2 (climbing up the mountain) is about information for management decision making. It’s for managers not just HR. And it’s focused on effectiveness not just efficiency. 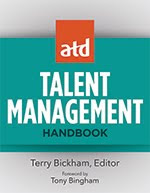 It relates to the talent management suites that Bill was talking about. Level 3 (the summit) is about enabling people to do their jobs better – not just providing information on how they can do this. It’s for employees not just their line managers. And it’s focused on efficacy not just effectiveness. I don’t think Bill talked about this last level, but to me, it’s this which is the key opportunity arising from the intersection of E 2.0 tools and HR practices. And it’s the first type of technology that I think strategic human capital practitioners can get truly excited about. The intersection is an important one, and it’s probably Bill’s HR Technology conference and Oliver’s HR Technologies stream which are best placed to help HR practitioners explore the opportunities that exist there. Tammy Erickson’s slot at Bill’s conference should be particularly interesting. But I’m not sure even this session captures the full opportunity effectively – the issue’s not just about developing culture to use the tools. It’s using the tools (and other things) to develop the culture. I hope to be talking about this in Santa Clara, and Bill: I still think it will be worth revisiting this again next year. I’ve got a busy week in the States next week, largely stalking Jennifer McClur, Cincy Recruiter and Sharlyn Lauby, the HR Bartender. The week starts with the Social Recruiting Summit at Microsoft’s HQ in Redmond, Seattle on Monday 12th, and a poker tweet-up the night before where I first get to meet Sharlyn and Jennifer(?). On Tuesday 13th and Wednesday 14th, I’m in Chicago – for meetings on the Tuesday then On Rec on the Wednesday. And finally on Thursday 15th and Friday 16th I’m in Sandusky at Ohio SHRM where I, Sharlyn and Jennifer are all presenting. It’s perhaps a good job I’m not at TRU Manchester (UK) this week where I guess Jennifer is currently!? Do let me know if you’ll be at one of these events, or just in the cities, and would like to meet. And I suppose I should admit that this trip won’t all be by road - I am taking some internal flights too! I’ll be hosting the next HR carnival at Strategic HCM on 15th September. If you’ve got an HR blog, then as per usual, I’m after your submissions from the last few weeks – any theme is fine. However, as with the previous carnivals I’ve hosted, I’ll be trying to give this one a little additional spin. This year, I want to focus on international HR – so any posts focusing on global HR issues will be particularly welcome. If Google Translate works for your language we’ll just include your actual url and one from google translate (assuming that works for your language) too. If you’ve not contributed to the carnival before now, please do to this one. You can find out more about what it’s all about here: http://carnivalofhr.blogspot.com (see ‘About the Carnival of HR’ on the left). Ongoing contributors to the carnival are of course, very welcome to join in as usual. I’ll need all submissions by end of play on Tuesday 14th. “Matthew Hanwell, Director Communities and Social Media, Nokia and Jon Ingham, Blogger, Strategic HCM will present insights into HR 2.0 and collaboration technologies at the 2011 HR Directors Business Summit.